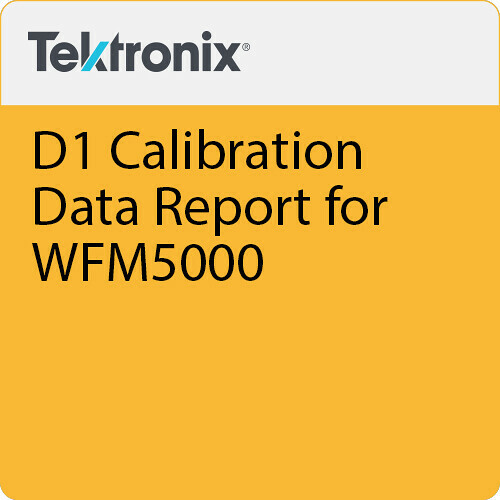 The D1 Calibration Data Report for WFM5000 from Tektronix is a service option available for the WFM5000 test instrument. This item provides a hard-copy report that details calibration services performed on your equipment. Please note that this particular report is a one-time event and must be ordered in conjunction with the CA1 calibration service. Use this data report to better understand the services performed and readings taken from your equipment during calibration.